We hope you all agree with us when we say that: The best pistol reflex sight offers you the ideal path to success when target shooting, rapid shooting, hunting, or plinking. In actual fact, dot sights provide the quickest method of teaching a new shooter how to hit the target, wouldn’t you agree? 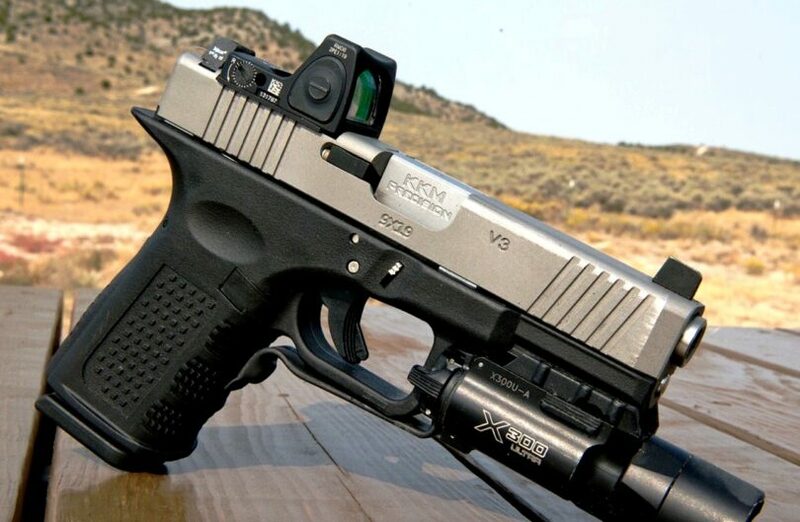 Dot sights provide precision, simplicity, and speed over conventional sights. 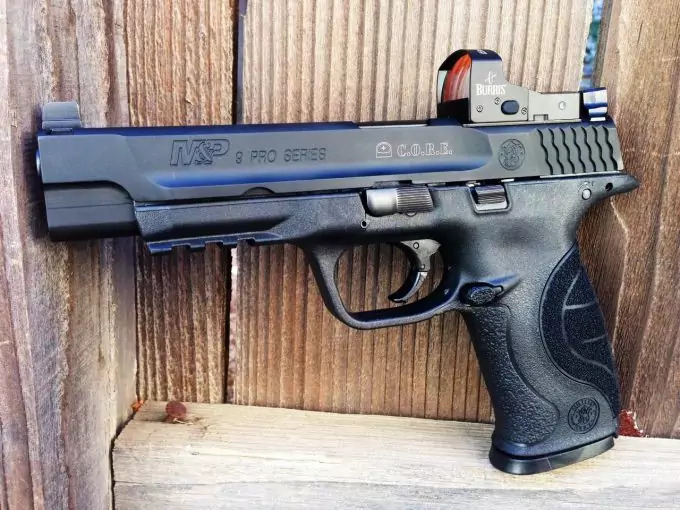 They are remarkably fast to use in rapid target shooting or shooting of a fast moving target. All you have to do is place the dot on your target and shoot. However, not all dot sights will deliver your expected performance. And it will be particularly difficult to choose a high quality model, if you are new to these little aiming gadgets. It is for this reason that we are here to help you with your selection. In this brochure, we have selected eight reflex/dot sights for your choosing. Each of the shortlisted products comes highly recommended by users. Also, there are a few reviewed products that will fit a smaller budget. 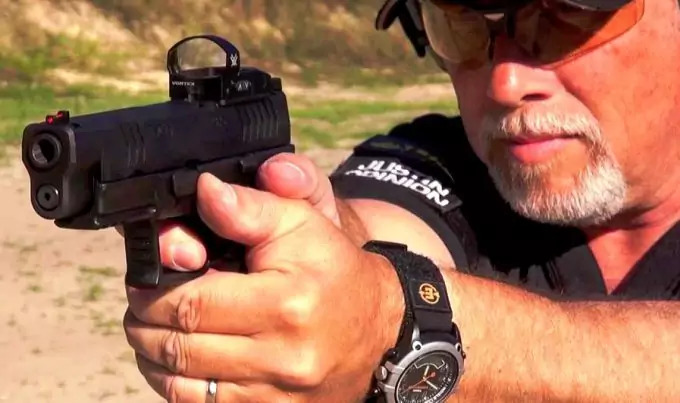 It goes without saying that high-quality red dot sights for pistols offer speed, precision, and simplicity, especially when dealing with fast moving targets. 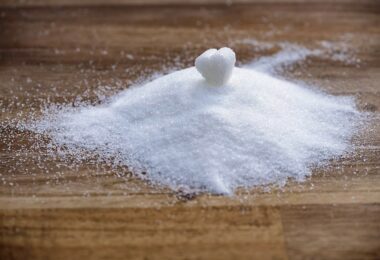 But, the products found in our current market are not all high performing. Therefore, you can best select a resourceful and versatile model, if you know what you are looking for. The following pointers will help you choose the ideal product in terms of high-quality features and unmatched performance. There are at least three dot design developed for use in the current market, and they include holographic, tube, and tubeless types. A holographic/tubeless type is a non-magnifying dot sight that lets you look through a glass lens to view a reticle pattern (dot, circle, crosshair, or dot-circle). Holographic/tubeless sights are compact, lightweight, and effective in normal weather conditions. But, they may present fogging problems when used in weather changing environments, such as humid areas and in the rain, because of the exposed optics. So, make sure you choose an advanced holographic/tubeless model that features added durability. The best model should be nitrogen filled to prevent the lens from fogging. It should also be O-ring sealed for superior water resistance. When shopping for the best pistol reflex sight or dot sight, you need to settle for a durable design. The most popular material used in the engineering of today’s dot sights is aluminum. The advantages of aluminum include: lightweight, scratch-proof, impact-resistant, and weatherproof. For added durability, consider a model that is filled with dry nitrogen. Such a construction will keep the optics from fogging, especially in humid conditions. Also, ensure that the dot sight housing is O-ring sealed for superior water and weather resistance. The size of the dot matters a lot. A smaller dot may be okay for your eye to pick, but it may be a problem for another shooter. On the other hand, a larger dot may block your target, especially at a longer distance. For preference and convenience, we recommend you to buy a dot sight with a reticle pattern that works for you. Alternatively, you can settle for a model with four reticle patterns: a dot; a dot and a circle, crosshairs, and crosshairs with a dot in the center. A 4 or 3 MOA dot size is convenient mostly for general purpose use, because it is perceptible and offers accuracy at medium range distances. A dot sight with multiple reticle patterns is convenient, but can also be unreliable. We have covered additional pointers/special features to consider in the following list of product reviews. How you mount your dot sight on your firearm matters a lot. To avoid extra stuff hanging from your firearm, you need standard weaver-style base or built-in Picatinny mount base. This will allow for effective installation of your compact dot sight. It is only through proper mounting that you will be able to see through your dot sight with precision. 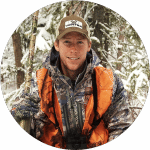 Stability matters, especially during hunting or target shooting. And you can simply achieve this with superior mounting. Buying an expensive dot sight does not necessarily mean you will get first class performance. You need a model that is easy for you to mount on your firearm and easy to operate, both in normal and extreme conditions. The windage and elevation control should be easy to use without special tools. You will be better off with an Allen-head screw-type windage & elevation controls, since this will just need an Allen key for adjustments. Now that you have an idea of what to buy, we are going to introduce you to our eight best picks of 2018. 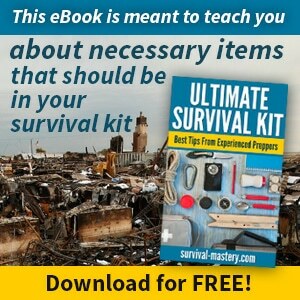 These product reviews do provide you with additional tips that we did not cover in the buying guide. One of these dot sights will surely fit your application. The Trijicon RMR Amber Dot Sight is engineered to improve your shooting precision and accuracy with most caliber/style of weapon. This particular dot sight will offer you unmatched performance and durability in extreme conditions. It features a rugged, forged aluminum housing that is exceptionally lightweight and sturdy. This heavy-duty housing sheathes premium quality optics for grander performance in all of your target shooting, tactical shooting, and hunting. The true color multicoated optics generates high-quality light transmission that ensures the target area color does not change. The adjustable windage/elevation settings allow you to make easy adjustments without the need of special tools. Another special feature that makes this dot sight unique is the 9 MOA dual-illuminated RMR. The incorporated Tritium phosphor lamp does a great job of illuminating the reticle in low light situations for better viewing of the readings. The dot-sight also features fiber optics that automatically adjusts the contrast and brightness level to the current light conditions. With that said, this sight has multiple applications, such as carbine, shotgun, pistol, and rifle. Related: This product should be bought along with the Trijicon MR Mounting Kit and the Trijicon RMR Mount Sealing Plate. The kit and the sealing plate help with the mounting of the dot sight. The Sightmark Sure Shot Reflex Sight is a lightweight gear that is accurate in sighting. It has the ability to handle heavy recoil and stay zeroed for long. It features a large viewing area with a choice of four different illumination reticle types. 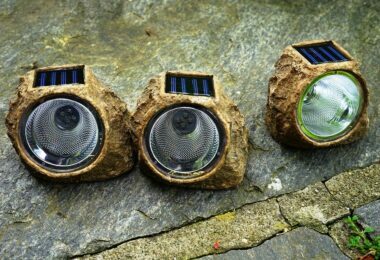 It is mainly powered by a 3V lithium battery that is the CR2032 that is enclosed in an insulating cover. 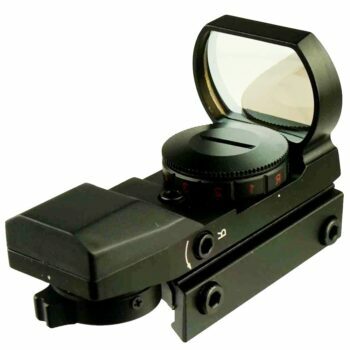 The dot sight incorporates an integrated rail that fits weaver bases of high standards and is suitable for various applications. It is versatile and can be used in various applications such as, pistols, rifles and shotguns. It provides you with unlimited eye relief and when mounting it you are required to allow a 3 inch clearance between the end of the LED, mirror housing and your eye. To create the ultimate weapon you are required to mount it along a rifle scope in order to acquire targets quickly and at close distance ranges. This type of weapon will also allow you to acquire targets at close distances and also take long shots. Zeroing the sight is made easier; all you are required to do is select your desired reticle by turning the reticle selector knob and set the intensity level up to where you are comfortable. 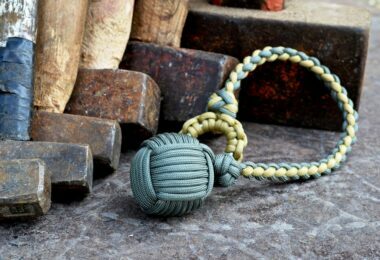 It is available in matte black or camouflage finish. 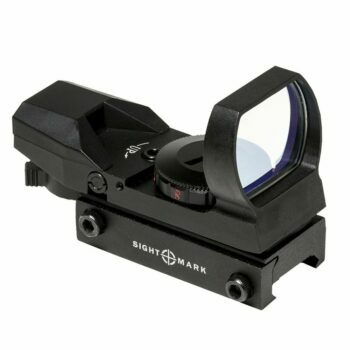 Related: This dot sight is frequently bought together with the Sightmark Laser Bore Sights. The bore sights will help with fast gun zeroing as well as sighting. 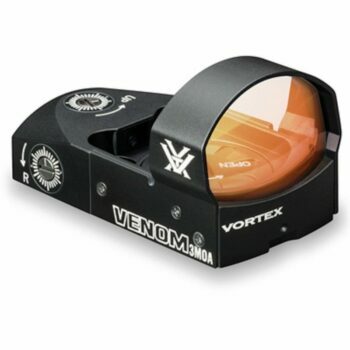 The Vortex Optics Venom Reflex Sight is a combination of speed and simplicity in tiny, powerful package. It features 3 MOA dot; its diameter allows you to access your target quickly and precisely. Its anti-reflective lens coating on the lens surface offers you brighter images. It incorporates of the Armor Tek that is scratch resistant and protects the exterior part of the lens from any debris, oil, dirt and scratches. It’s hard anodized finish, waterproof and shock-proof feature makes it a durable sight. It is powered by a CR1632 battery that comes in with a protective cover. The battery is able to provide you with power for long because of its long battery life of 30,000 hours. It features elevation and windage dials with 1 MOA clicks that are adjustable and sleek making sighting easier. It features ten brightness levels in manual mode or switch to auto mode, allowing you to adjust your brightness levels. It comes in with a Picatinny mount allowing you to use it in long duration activities. 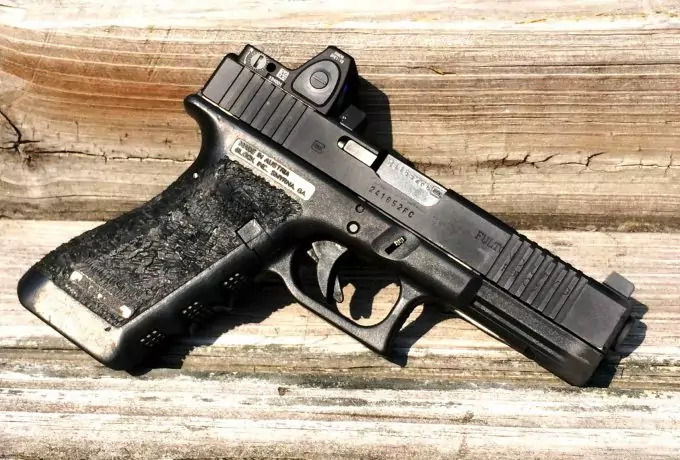 It is a lightweight sight that weighs 5.6 ounces allowing you to carry it around. Being a product from a widely known company you are offered a VIP unconditional lifetime warranty. Other features include: parallax free, unlimited eye relief and a 14 hour auto-shutdown. Related: This product is frequently bought together with the Energizer CR1632 Lithium Coin Battery. You can use the pack of five batteries as backup power. The Browning Buckmark Reflex Sight is a high-quality model for the money. 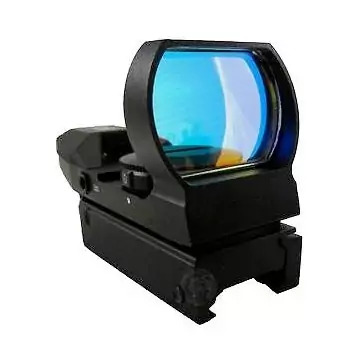 This reasonable priced dot sight is designed for superior accuracy and speed. Unlike conventional models, this particular dot sight allows you to focus on your target for better accuracy. The rugged aluminum body of this reflex sight is lightweight, impact resistant, and very durable. The matte black finish improves the water resistance capability. The combined durability features allow you to use the sight in extreme conditions. 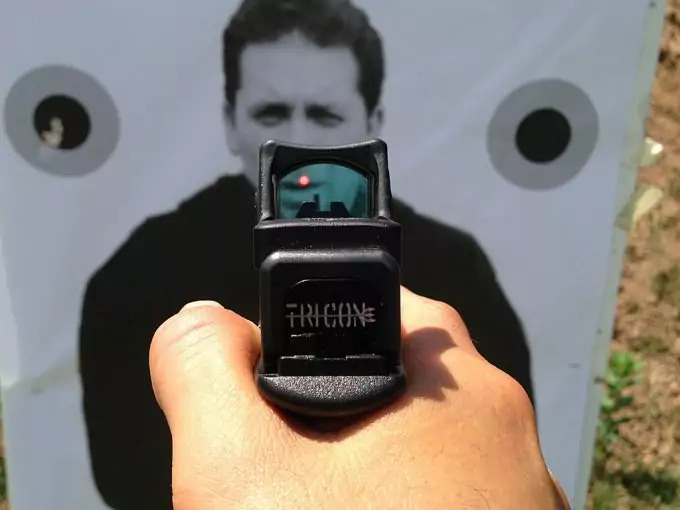 The dot sight has four reticle patterns (circle-dot, cross-dot, 3 MOA dot, and circle-dot-cross) for parallax correction and unlimited eye relief, especially when dealing with fast moving targets. Therefore, it is convenient for multiple shooting events. Unlike traditional dot sights, the Browning Buckmark is fitted with seven-position brightness rheostat. You can set the brightness at 1 when using the dot sight indoor, or at 7 when using it outdoors during the day. You must always ensure that the brightness level is convenient. The Field Sport Red & Green Reflex Sight is the most convenient choice for shooting moving targets and rapid firing. This is the red and green dot sight. Out of the box, you get two Allen keys for adjustments, a lens cover, and the dot sight. The Allen head screw heads make windage and elevation adjustments easy. You can adjust the elevation by working the top screw. You can adjust the windage by working the side screw. You have to tighten the bottom screw once you have the desired adjustments. This Dot Sight is incorporated with four different reticles. It comes with a dot; a dot and a circle, crosshairs, and crosshairs with a dot in the center. These reticles provide you with corrected parallax and unlimited eye relief for better performance. Every time you switch between the reticles, you will have to re-zero your dot sight. Therefore, you have to pick one that works for you and stick with it. For instance, if you are rapid firing, you will have to choose a suitable reticle for quick firing. This dot sight has five different intensities of brightness and two different dot colors (green and red). When using the device indoors, you should stick with a brightness level of 1 to prevent any fuzziness. And you should keep your dot sight on the highest brightness setting when using it outdoors during the day. Related: This product should be bought along with the TacStar Tactical Rail Mount. This mount offers you a mounting point for your Dot Sight. 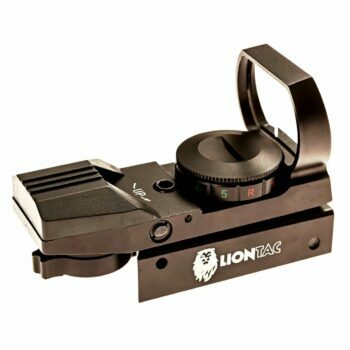 The LionTac Tactical Red Dot Sight is one of the best red dot sights for pistols, handguns, rifles, and shotguns. The reflex mountable accessory of this dot sight is compatible with most of your firearms, including handguns, rifles, pistols, and shotguns. This sight is engineered from heavy duty aluminum alloy with anodized matte tan or matte black finish. The construction material is lightweight, waterproof, and shockproof. The reflective anti-glare coated lens offers superior performance. The tubeless compact design of the dot sight is incorporated with a fully adjustable windage/elevation setting along with a 33 mm reflex lens opening/aperture. The aperture offers you a wide field of view for better aiming. This red dot sight has multiple reticles, including 3 MOA, 10 MOA, and cross sights with unlimited eye relief. With these settings, you are able to achieve superior target acquisition for the best shooting experience with all the compatible firearms. 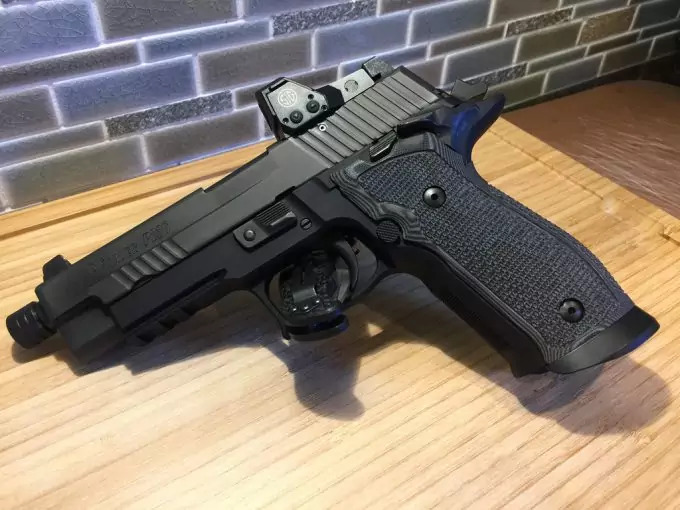 Apart from the fact that the red dot sight is available in black and tan finishes, it comes with a storage box, smooth cleaning cloth, one CR2032 battery, and two Allen wrench. In addition, you are guaranteed risk free purchase and great gift. Related: The LionTac should be bought together with the Monstrum Tactical 90 Lumens LED Flashlight. The flashlight will come in handy at night, especially during hunting. The Bushnell Trophy TRS-25 Red Dot Sight is one of the best red dot sights for the price. 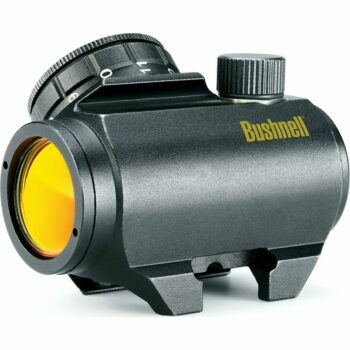 According to Bushnell, this high-quality red dot sight offers you the highest standard at a remarkably affordable price range that fits the budget. This sight is exceptionally lightweight, measuring 3.7 ounces. This allows you to easily mount the dot sight on your weapon without adding unnecessary weight that may otherwise interfere with the stability of the weapon when aiming. The Dot Sight is integrated with a daylight visible simple reticle that is designed to cover three inches of your target at a hundred yards. The red dot reticle is sharp and crisp. You can easily adjust the reticle with the help of an ergonomic control knob. The Dot Sight is fitted with an illumination control knob for adjusting the dot intensity with respect to the ambient light conditions. To obtain an optimum red dot, you have to gradually increase the illumination until you achieve a perceptible aiming reference. 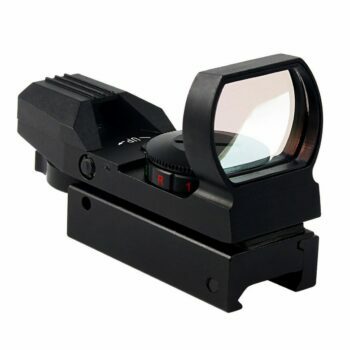 This Dot Sight uses a CR2032 battery, which offers you three thousand hours of battery life. This is particularly important in a target shooting class, where people mean serious business. You also get to spend less by buying the batteries less frequent. The Ohuhu Red Green Dot Gun Sight is a highly versatile and inexpensive option for a shooter with a tight budget. This particular model is available in two colors, including black and sand. If you are after good performance with fewer disappointments, then this is the dot sight for you. One of the most attractive qualities of the Ohuhu Dot Gun Sight is the ability to produce either red or green dot. The two distinct dots are exceptional during the day. However, you should expect the performance of the green dot to deteriorate at night. The tubeless structure of the dot sight has a thirty three millimeter reflex lens opening that offers a wide field of view. This attribute is particularly convenient for normal shooting, fast moving target shooting, and rapid firing of your gun. The Dot Sight is incorporated with four different sizes of Dots and four reticle patterns, which make the Dot Sight resourceful and very versatile compared to other models in the market. The built-in mount is compatible with standard bases for easy remounting. The Allen head screw makes windage and elevation adjustments easy with just a locking screw. This attribute allows for parallax correction and unlimited eye relief during use. In addition, this Dot Sight is lightweight, shockproof, and waterproof for use in extreme conditions and durability. Related: This Dot Sight should be bought together with the Leupold Mounting Tool. This amazing tool comes with the much needed Allen key for windage and elevation adjustments. The Ohuhu Red Green Dot Sight marks the end our best pistol reflex sight reviews. These products are the best you can find in today’s market. Truthfully, we have exceptionally reduced your search by providing you with what you need. You should know that not all of the reviewed products will actually work for you. 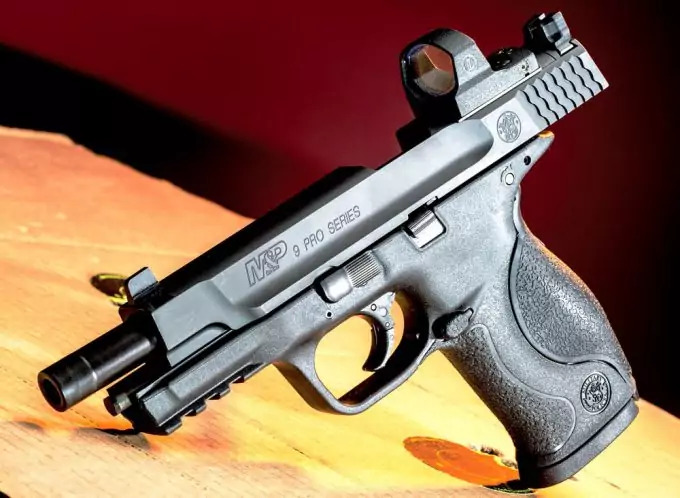 The best choice from our list is one that is compatible with your firearm, fits your budget, and offers promising design features and performance for your intended applications. 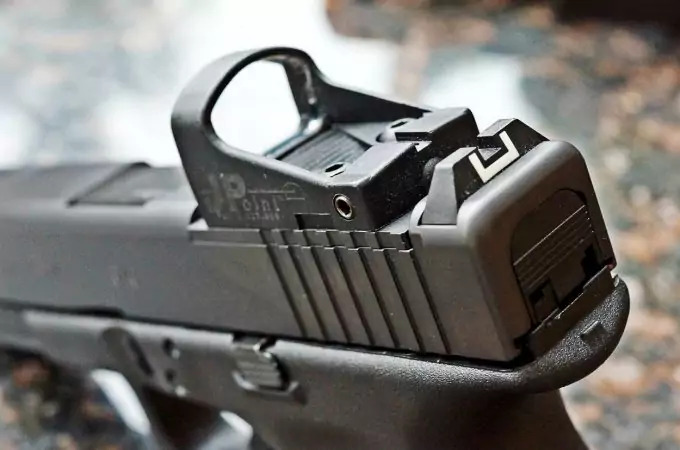 If you are new to reflex/dot sights, then you should first learn as much as you can about these gadgets before engaging the market. We have supplied you with a few important pointers in our buying guide section. You can learn more from the product reviews. Have you found what you were looking for as far as your budget and application are concerned? Please share your experiences, concerns, and suggestions with us in the comments section below, and we will join you in the discussion with more ideas.